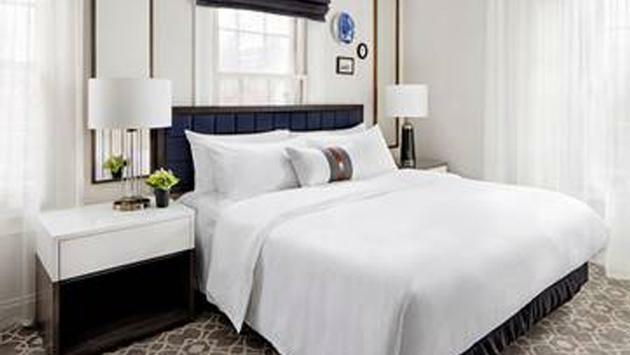 The Whitney, a new 65-room luxury boutique hotel, is set to open in spring 2019 in Boston’s historic Beacon Hill. The property is revitalizing and expanding an existing hotel to create a new landmark at the corner of Charles Street and Cambridge Street in the treasured neighborhood. Named for Henry Melville Whitney, a prominent Boston industrialist and one-time owner of the site, The Whitney will offer guests generous hospitality through sophisticated simplicity and cultured comforts. The Whitney Hotel’s Beacon Hill address embodies the best of the classic brick townhouse style associated with the neighborhood and balances the vibrancy of the city with the serenity of its idyllic location. The property, developed by Boston-based Related Beal and operated by Hersha Hospitality Management (HHM), is a haven apart from the urban hustle, welcoming guests with uncomplicated, urbane luxury, complemented by the comforts and indulgences of home. Tucked away in beloved Beacon Hill, The Whitney blends seamlessly into the distinctive neighborhood, melding contemporary, historic and residential architectural design from Boston-based Hacin + Associates. The brick façade complements the area’s character, while the granite-paved entrance provides a transition to a more contemporary lobby space. Guests will enter a warm and welcoming open lobby, designed by Ealain Studio, featuring a luxurious fireplace, high ceilings, reclaimed French oak wood floors, modern light fixtures, and chic seating in a palette of navy, gray and black. Adjacent to the hotel lobby, a secluded interior courtyard evokes a serene garden experience, with lush multi-seasonal plants, fire pit, and a tranquil fountain providing an intimate respite for guests. The space, designed by Boston-based Matthew Cunningham Landscape Design, infuses light into the guestrooms that overlook it, while serving as a sanctuary for visitors with cozy seating. For more information on grand opening announcements, please visit www.whitneyhotelboston.com.